Markus Popp has not released an album under the Oval moniker since 2001, when he dropped the Ovalcommers album. Thankfully, the glitchy electronic music pioneer has announced plans to return with a new release this summer. And despite the record being categorized as an EP, it boasts a hefty 15 tracks, though we're guessing there will be some short ones. The release is called Oh, and will see the Oval project expanding into new directions with the addition of guitars and drums. In a press release, Popp explains the development, saying, "After years of dissection and denial I wanted to try making 'real' music for a change. The design goals for the short side B tracks were to attain the sense of a familiar sound and 'ringtone.' While it took me years to get the tech aspect down, the tracks themselves are pretty much recorded live and from here, I am very much looking forward to evolving this setup like a real band." The press release goes on to promise that "the new Oval sound is so arresting, emotional and dynamic that all distinctions like 'programmed vs. played', 'laptop vs. improvisation' or 'acoustic vs. electronic' are rendered meaningless." 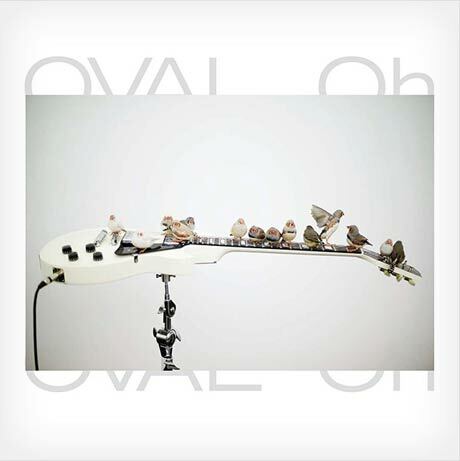 Oval's Oh will be released on June 15 via Thrill Jockey. It will be followed by a double-disc CD full-length later in the year.